Choosing the right material to make your outdoor space inviting and comfortable is a crucial decision. There are a diverse range of materials available for outdoor decking. There are several criteria for selecting a fitting decking material. 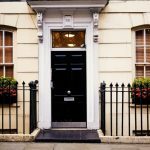 You need to consider the aesthetics, cost, resistance against weather and bugs, durability, ease of installation, maintenance requirements and ease of availability. Each material has its own set of advantages and disadvantages. It can be overwhelming decision to choose from all the options. To make it easier for you, we have put together a list of the most popular decking materials along with their pros and cons. Wood is one of the most popular and classic options for decking. 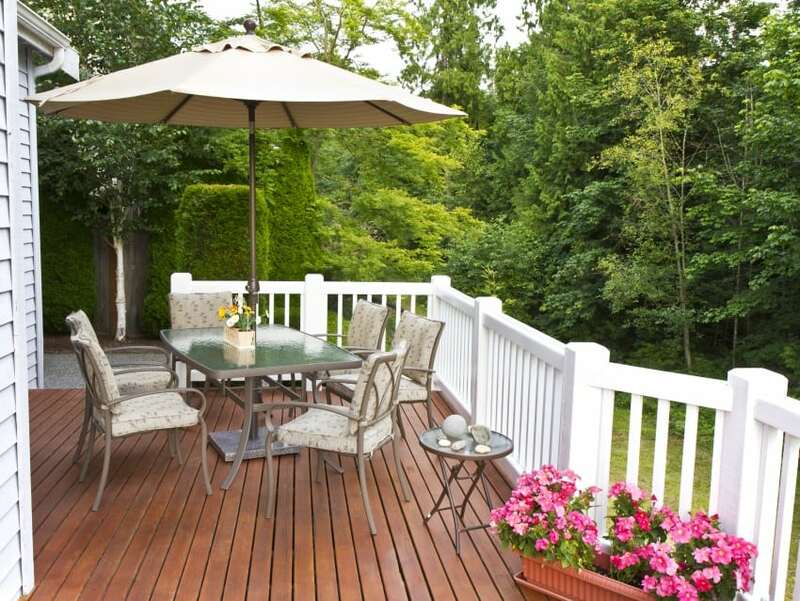 In particular, pressure-treated wood is widely used for outdoor decking. It is usually made from inferior-grade hemlock, pine or fir. This is one of the least-expensive options. Pressure-treated wood is easy to cut and install. It is chemically treated to resist mold, rot and insects. Pressure-treated wood feels comfortable barefoot. Pressure-treated wood is not dimensionally stable, therefore can crack, splint or wrap overtime. 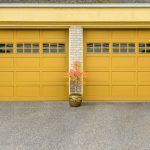 It requires regular maintenance that includes power washing and application of stain or wood preservative every couple of years to keep it from weathering. It is possible that the lumber is treated with harmful chemicals. A superior option than pressure-treated wood for decking are natural woods such as redwood and cedar. Naturally superior wood has richer colour and looks fantastic. Cedar in particular has tannins and naturally occurring oils that protects it from rotting and insects. This is an expensive option. Naturally superior wood can cost almost three times the cost of pressure-treated wood. It can be easily damaged by food traffic. It is comparatively difficult to procure than pressure-treated wood. Regular stain application is required to maintain wood’s natural colour, otherwise it will eventually turn grey with time. Another wood decking alternative is tropical hardwoods. Some exotic hardwoods used for decking are ipe, red balau, teak and camaru. Tropical hardwood is one of the most aesthetically appealing options. This is highly durable and can last for 25 to 50 years. It is naturally resistant to insects and decay. This is a much more expensive option than pressure-treated wood. Tropical hardwoods are extremely dense, heavy and quite difficult to work with. Even a nail cannot be easily hammered into it and would require a hole to be drilled first. Some dark woods can heat up significantly during the summer months. Tropical hardwoods are not as readily available as pressure-treated wood. It is difficult to stain tropical hardwood because of its density. If not stained, it will weather and loose its natural colour overtime. Composite material for decking is gaining fast popularity. Composite wood is an engineered material that is made with high-density polyethene and wood splinters mixed with preservatives and binders. It is completely safe to walk on composite decking as it does not rot or split. It does not require any protective finish or stain for protection against insects or decay. Composite decking can be eco-friendly as it is often made with recycled materials. It comes in a variety of colours, shapes and sizes. It can also replicate wood decking quite well. Composite decking often comes with a long-term guarantee against degradation. Even though composite wood is highly-resistant to weather, it can still grow mold or mildew in shady and damp areas. It requires regular scrubbing to prevent mildew. Composite wood doesn’t look as natural as real wood decking. It is more expensive than wood decking. Composite decking might require special ‘hidden’ fasteners. PVC or synthetic decking is made up of cellular polyvinyl chloride. It has similar density as some softwoods such as white pine. PVC is lightweight, easy to install and work with. It is resistant to mold, insects, decay and virtually maintenance-free. There is no requirement for stains and weather-proof finishes. PVC decking doesn’t need power washing or scrubbing. It is thin and can be placed on top of existing wood decks or concrete patios. The colour of PVC decking is highly customisable. It is easy to find and comes in a variety of sizes. One of the biggest drawbacks of PVC is the lack of visual appeal. 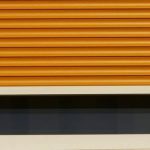 No matter which pattern you choose, PVC will never look as good as its wooden counterparts. Again, PVC is costlier than wood decking. It is prone to crack or expand when exposed to excessive heat or direct sunlight. PVC often creates a noisy and squeaky deck. Polystyrene Decking is another variant of man-made decking materials. It is a still, strong and light decking material. It is easy to handle and install. Polystyrene decking’s non-slip surface becomes less slippery when wet. It comes in a variety of different colours and can easily mimic wood decking’s look. Polystyrene decking is more expensive than pressure-treated wood and some composite decking. Aluminium decking is a lesser known but still an excellent decking material. Aluminium decking is extremely durable. It will never peel or blister. It is suitable for both cold and hot weather. It doesn’t get brittle in extremely cold weather. Due to aluminium’s heat-dissipation properties, it actually stays cooler than other types of decking in direct sunlight. It is recyclable and hence eco-friendly. It is much lighter and much stronger than other materials. It won’t catch fire, decay or get infested by insects. Most aluminium planks have interlocking edges that create gap free and water-tight decks. Rain water can easily be drained with the help of self draining channels. Aluminium is the most expensive decking material. Even though it has it own unique look, it still lacks the natural feel that wood decking exudes. It requires special fasteners to secure it to the substructure. Though it does not need any protective coating, it does need slip-resistant coating to create traction. 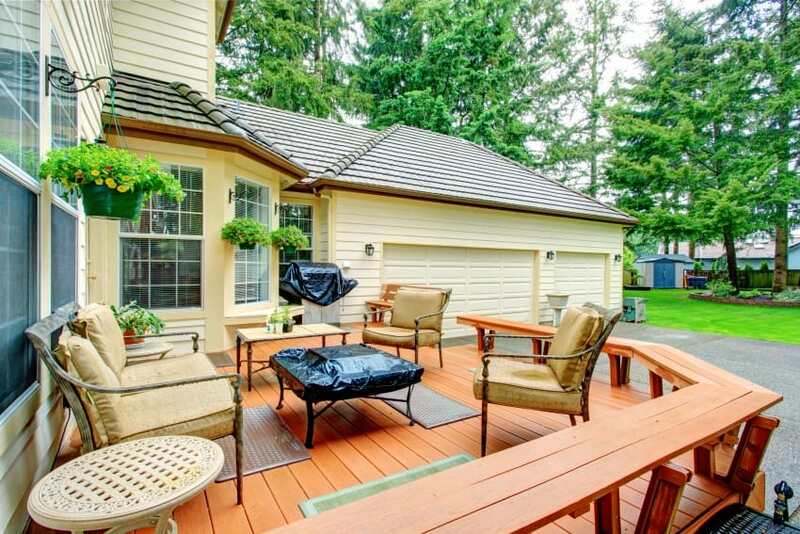 Hopefully, this comprehensive list stating the pros and cons of the various decking materials helped you in deciding which material is best suited for your home. 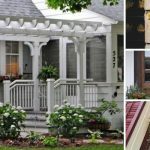 Are Gutters Necessary? 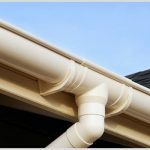 Did You Know The Benefits Of Rain Gutters?